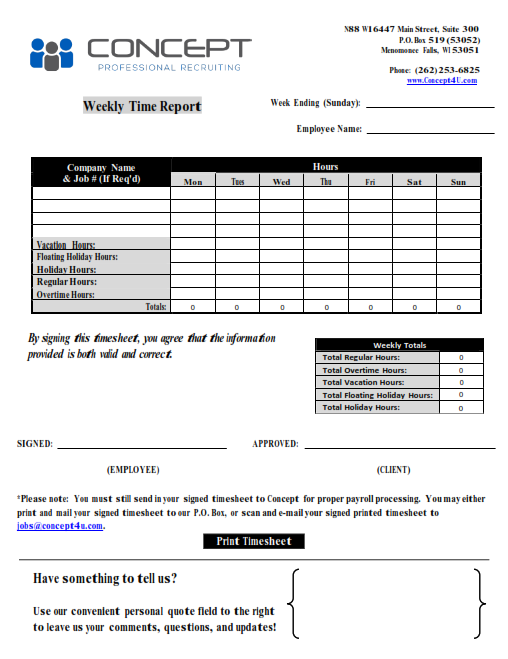 Submit your hours by using our new PDF based timesheet. Adobe Reader is required to open this file. You can download it here – http://get.adobe.com/reader. If your web browser does not prompt you to save the file, then you must save a copy of the document by right clicking on the thumbnail image, and then left click on “Save link/target as…”. Then select your save destination in your computer directory. Please note that you may need to set Adobe Reader as your default PDF reader prior to opening the file. Instructions on how to do so are shown below. 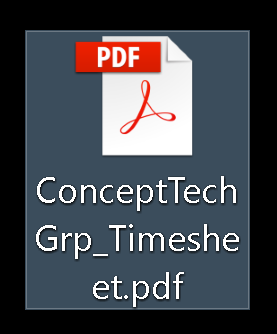 After you click on the thumbnail above to download the Concept timesheet, find where you saved it on your computer (i.e. under your downloads folder, your desktop, or custom specified location). 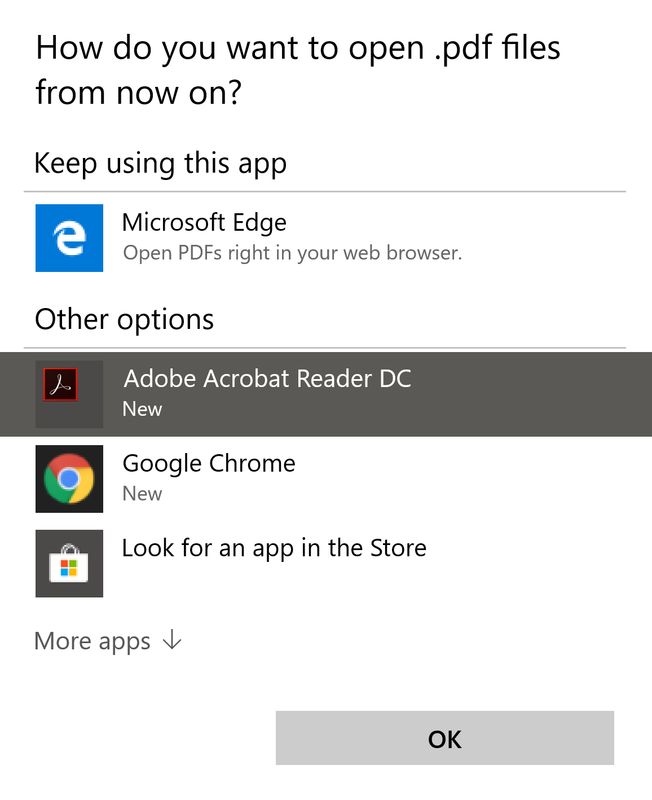 Notice in our screenshot that our current default PDF reader is set to Microsoft Edge. Begin by right clicking on the file and then left click on “Properties”. A new window will open. Left click on the “Change” button to the right of the “Open with” section of the Properties window. 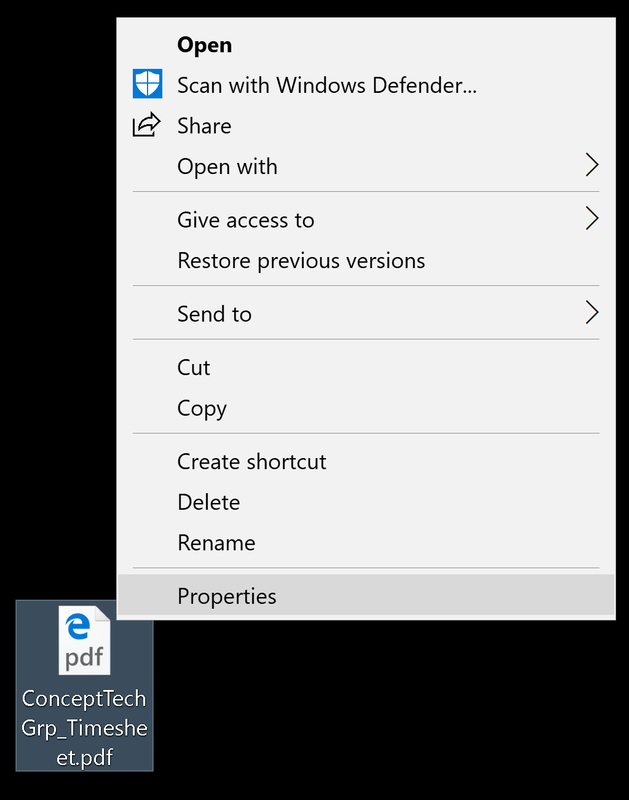 Another window will open that will prompt you to choose the default application you wish to open PDF’s with in the future. Left click on Adobe Reader, then left click on the “OK” button. Left click on the “OK” button to close the “Properties” window and complete your changes. You should now see that the icon style has changed to that of Adobe Reader’s rendering. You may now open the file, enter your time, print, sign and mail a copy of your hours to Concept. Note: You still need to send in your original, signed timesheet to Concept.